– Backpacking insurance. In case you get sick or have your backpacking trip canceled. – Kidnap and ransom insurance. In case you get kidnapped and held for ransom (duh). – Your hands. If you are a yo-yo champion. – Your derriere. If you are Jennifer Lopez. Being a Curvball member means you can speak to a criminal defense lawyer immediately. Get the information and advice you need. Don’t wait to be intimidated by a law enforcement officer with an agenda, or an aggressor looking for someone to blame. You can have a lawyer on the phone in 60 seconds. People like us (the type who would read this blog) probably have health, and if they have a home, homeowners insurance. At the same time, people like us laugh at the idea of buying extended warranties from the big box electronics stores. The question we pose: Where do we draw the line? Take car insurance, for example. Pete has a car and has no collision insurance on it (he, of course, has liability insurance for it), whereas Dan, when he had a car, bought collision insurance because that what his family always did. Who is right, and if you have a car, what do you do? This post has sparked a huge mega-rant on messymatters.com. Check it out! Pete is right and Dan is wrong! 1. You know more than the insurance company. Like you’re about to burn down your house for the insurance money. Wait, that’s illegal. Maybe you’re about to let your teenager start driving your car. Actually, the insurance company probably knows that too. Hint: you probably don’t know more than the insurance company. You could *maybe* make the argument that you should get the extended laptop warranty because you like to be crazy reckless with your electronics. But those warranties are so overpriced that, really, you’re probably not that reckless. 2. You’re insuring against the loss of something so expensive that paying for it yourself would change the very value of a dollar for you. Like it would literally change your lifestyle. If you’re pretty poor (by first world standards) then maybe a couple thousand dollars could change your lifestyle a little bit, temporarily. For the supernerds reading this blog it probably realistically has to be in the tens of thousands — often much more. Collision insurance on your car is not in this category. You probably don’t even need any fancy econ concepts like risk aversion and expected values. You know what slimeballs insurance companies are. They raise your rates when you make a claim and manipulate the deductibles (not to mention weaseling out of paying altogether whenever they can get away with it). They pretty much guarantee that for any claim you make for smashing up your car you’ll pay for it many times over in premiums (if you haven’t already). But I claim that even when it feels tempting, have faith in the math (which the insurance company’s actuaries have carefully worked out) and JUST SAY NO. They wouldn’t offer you the insurance if you could, in expectation, come out ahead from it. Think about the worst case: if you could write a check (or sell some stock, or even borrow some money), beat your forehead against the wall a few times, and then go on with your life as if nothing had happened, *do not insure against it*. To respond to Steve, we almost agree but I think you’re still being too risk averse. Yes, no collision insurance on your brand new car means a (small) risk of cash flow difficulties (maybe getting gouged on interest rates if you have to borrow money to replace it or maybe just making do with a crappy replacement car). But weigh that against the guaranteed cost of the premiums. I say take the calculated risk. Disclosure: I hate both cars and insurance companies with a burning passion. Another tricky one is an umbrella policy. For example, say you cause a car accident and disable a high-priced CEO in the process. The CEO sues you for lost wages to the tune of $1 million. Your car insurance only covers $200k (say), so that the umbrella policy would cover the difference. This is admittedly a very low probability event. However, your lifestyle may be dramatically altered if it happens (and you don’t have an umbrella policy). Isn’t it more complicated than this? In short, an efficient insurance company can offer a service that I might benefit from. You need to weight up your own circumstances and preferences, the product and price against the risks. @Thom, good point; I hadn’t thought of that. Are you sure about i, ii, and iii though? That kind of surprises me. And don’t forget the nightmare that dealing with the insurance company itself can be. I guess this varies depending on whether they find some technicality by which they can try to weasel. Regardless, you convinced me that there’s value to the service being provided. Still, I think you’re necessarily (in expectation) drastically overpaying for it. I wonder if there’s a way to buy just the service in the event that you actually total your car. In my case I might actually pay a friend to deal with it for me. If you have a decent vehicle that is less than ten years old the economic loss potential is probably greater than that which you wish to bear. Hence you buy collision insurance. If you have a junker, why bother? In between you can mitigate the cost by absorbing a higher deductible. Most auto insurers have deductible programs that go to $1,000 or more. Normally we find the price point of $500 to $1,000 deductible to be worth the extra savings. Recently, though, we purchased a new car and found that the deductible credits were so small that it made sense to take the minimum deductible of $50. 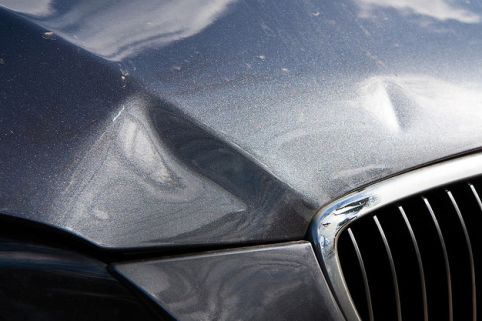 Should you buy collision insurance? was written on June 29, 2011 and filed in Gossip,Ideas.